>>TubeOne - PCR, 1.5 ml etc. Sample integrity of the highest quality is required for successful medical and scientific research. Constant storage conditions and optimized sample handling processes are the premise to be able to measure sensitive biomarkers reliably. Exactly at this point starts the innovation of the C+CRYO System. 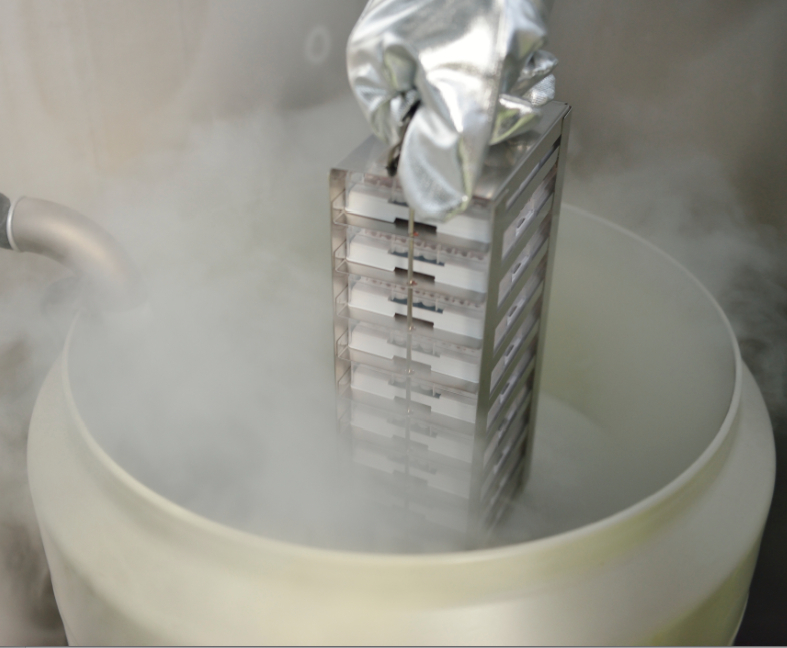 In cooperation with the scientific partner, the Medical University of Graz, ﻿which has built up one of the largest Biobanks in Europe with approximately 5 million biological samples, M&R Automation GmbH developed and patented the C+CRYO System. Contact us for a demo & discussion. No lifting of the storage rack out of the tank required. Work at the lid of tank. Fast removal of sample from selected chain. Reduced temperature effects to other samples. Copyright 2016 BioSpensa Resources. All rights reserved.